An attraction for any age! The Alster is not only a great place to take walks; it has a lot more to offer for its visitors. There are harbor boat trips to be taken and one can rent a pedal boat and cruise the water to one’s own liking. With its 164 hectares in size it is a vantage meeting point for all ages. Due to its great view there are a lot of runners on the shore. The grassy meadows make great places for relaxation and calm during the summer. 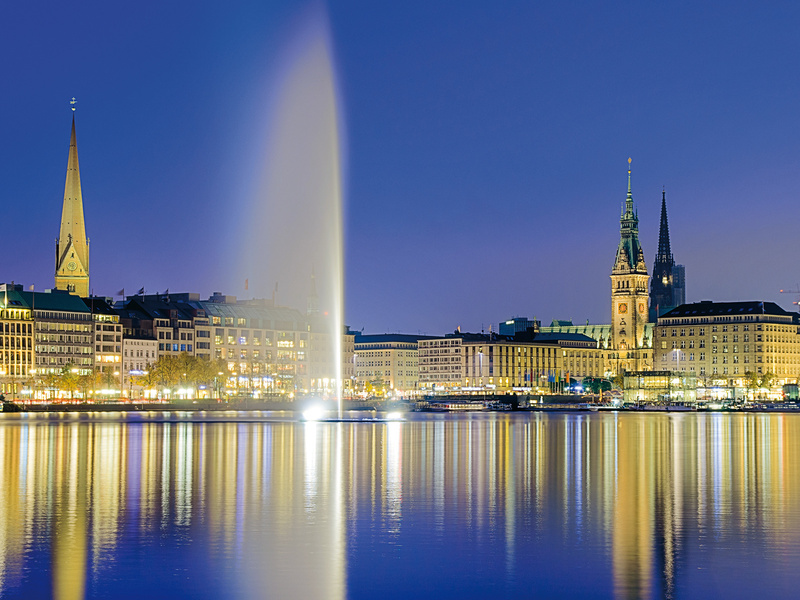 Especially at night the Alster is a beautiful sight with its illuminated fountain and a highly romantic location.